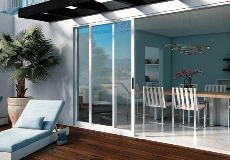 LION WINDOWS And DOORS is a full service company offering windows, patio doors and much more throughout Southern California. Our professional sales team, service representatives and installers are specialized in providing our customers with the best solutions for their needs, both big and small. We offer an incredible selection of custom quality products and materials, providing the perfect finishing touch to every home. We are your one-stop-shop for high-style, affordable materials at competitive prices and we guarantee premium quality products. If you’re not sure how to put your look together, we’ve got you covered with professional and knowledgable sales team. They are available to service your design needs and product selections with affordable, stylish materials that work within the most modest of budgets and across every style. Los Angeles, Santa Monica, Culver City, Beverly Hills, South Bay, San Fernando Valley, Malibu, Ventura, Oxnard, Orange County, San Diego, Santa Barbara and Northern California. LION WINDOWS AND DOORS is rated 5.0 out of 5 by 1. Rated 5 out of 5 by CNill from EXCELLENT Customer Service Excellent Customer Service....LION Windows was the ONLY window replacement company willing to come out and replace our Milgard patio door glass. All the other window companies we called in South Bay blew us off.... Even after requiring a follow-up visit.....they came out as promised, are professional and proficient, and did an excellent job. I commend Sagiv and Nan....both providing great communications and worked closely w us to get the replacements. Our patio doors are stunning! THANK YOU LION!